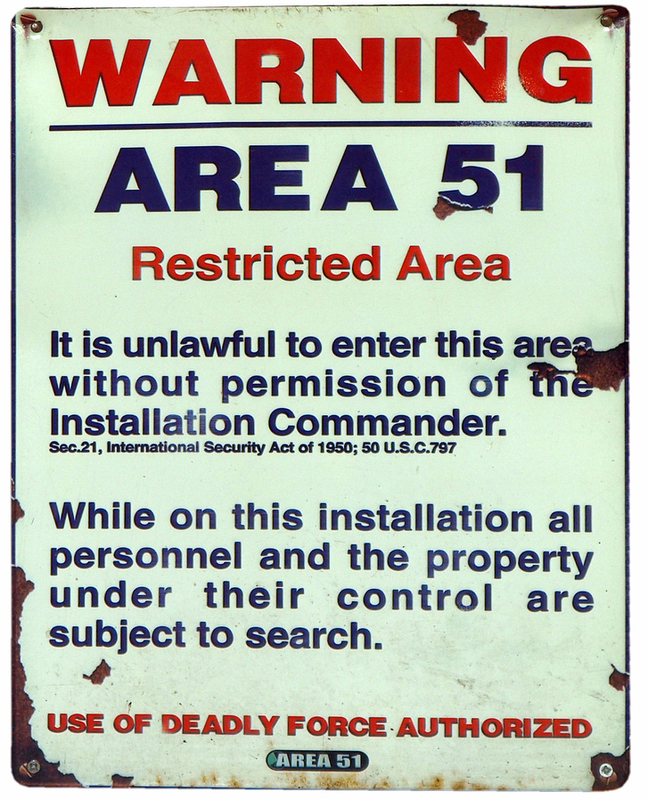 Kathy asks: Why do people think Area 51 contains alien bodies? Top 10 Weird Government Secrets Area 51. SR-71 Blackbird: Stories, Tales and Legends. Astronauts and Area 51: the Skylab Incident. Area 51 – Groom Lake, NV Watertown Strip / The Ranch Directorate for Development Plans Area. USGS aerial photos of Area 51, taken 8/28/1968. UFO Top Secret: The Bob Lazar Interview. Wow, can’t remember the last time I saw the phrase “hard on” in an article…haha! The U-2 is not a “supersonic” aircraft. In counterintelligence work, if you can no longer effectively deny it’s existence, (civilian photos preclude this) you then want to discredit its value and confuse people to deter the curious. The best way to keep a secret at this point is to hopelessly confuse the issue to preclude effective investigation. In my opinion, Bob Lazar and others are likely intelligence operatives themselves. Spewing disinformation is aimed at to protecting whatever secrecy they can still maintain at that point for ongoing projects. The Kennedy assassination is an example of a similar situation- too many clues and conflicting accounts neutralize effective investigation. That, by itself, strongly suggests it was an intelligence operation. The UFO community is actually helping the military to maintain secrecy with stories of alien bodies and spacecraft. That explains why the military hasn’t aggressively denied them or prosecuted former military personnel for revealing such “secrets”. The latest tactic is to suggest through the UFO community that aeronautic research is no longer being conducted there- yet more disinformation designed to divert attention. Groom Lake is still very active (multiple daily airline flights to and from the facility) and they are continuing to downplay its significance and divert attention elsewhere. Disinformation emanating from within the UFO community is the best kind – who knows how many among them are “plants” – especially those that have a military background (and civilians for that matter) and are still subject to non-disclosure agreements. Think about it…..there are secrets, but confusion and disinformation is a much better method to protect them than simple denial.